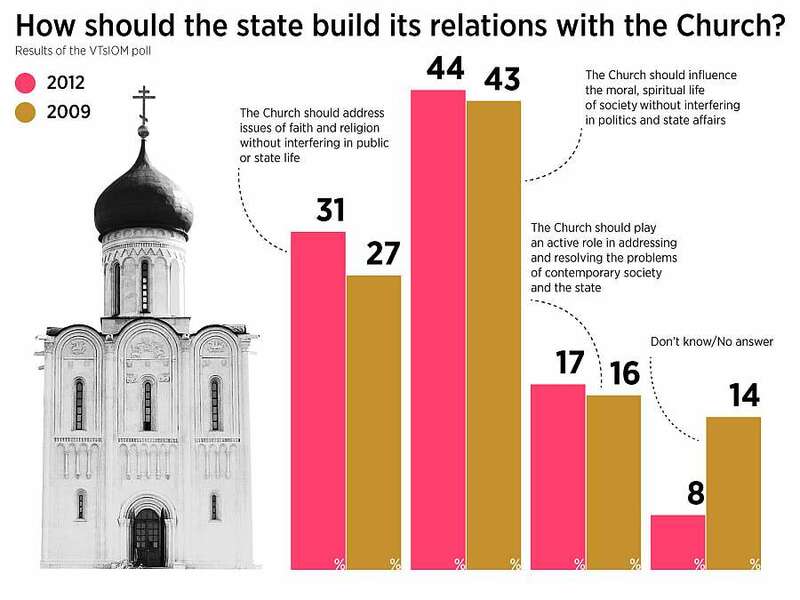 On the 14th of August All-Russian Center for the Study of Public Opinion (VTsiOM) published results of the survey “State and the Russian Orthodox Church: together or separate?” Russians argue whether Orthodox Church should stay out of politics or not. At least half of the Russian population believes that the Russian Orthodox Church (ROC) influences politics in Russia, but that this isn’t a problem. Experts at the All-Russia Center for the Study of Public Opinion (VTsIOM) report that the political influence of the Russian Orthodox Church has been growing.